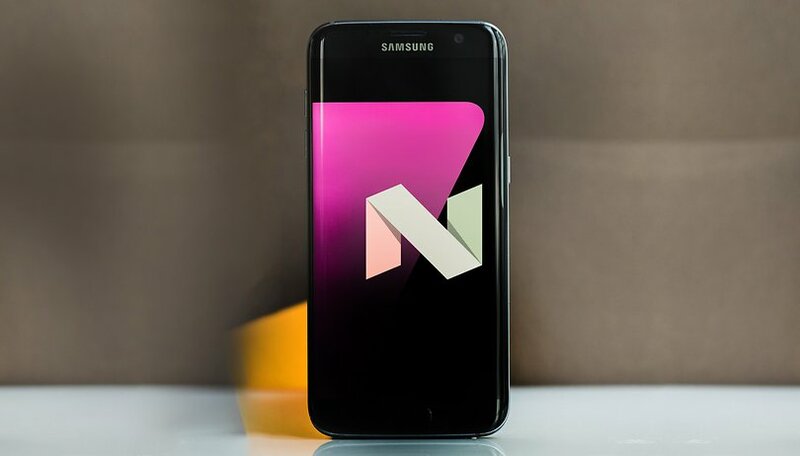 Today, those participating in the beta program for Android 7.0 Nougat on the Galaxy S7 and Galaxy S7 Edge received the information that the best test would be coming to an end and that the final update will be rolled out in the coming weeks. Though the Galaxy S7 and its sister model, the Galaxy S7 Edge, will be succeeded by the Galaxy S8 line in just a few months, there is still much to report in regards to Samsung's present top smartphone. For example, the fifth Beta, which happens to be the last Nougat test version, is the last one that testers will get. News of this arrived to participants today on December 30, 2016. Errors and feedback from testers can now only be shared via the respective forums, though they will no longer receive direct responses from the manufacturer. So, the question remains: when will we see the final version? According to the message to the Beta testers, Samsung will do its best to bring out the final versions to devices in January. The Beta program was only available in English, so the roll out will likely first start in English-speaking countries for both of the mentioned devices. There was also recent news from an employee at Samsung who stated that instead of updating to Android 7.0, that update version number will be skipped, and the Galaxy S7 and S7 Edge would get Android 7.1.1 instead. This, however, remains to be confirmed. What do you think? Should Samsung first roll out Android 7.0 Nougat to the S7 models or should it deliver 7.1.1 right away? Let us know in the comments below! As for the whole Nugat bit, USA gets 7.1.1(Samsung galaxy s7), and I hope for your sake you have one of the devices least effected by the update. You don't seem to like Samsung very much, Jacques. I have had mix feelings, but most of it is toward my carrier (at&t) not samsung. They have always been very helpful. Even went so far as to send me packing materials to send in my broken phone. They even allowed me to download a 400$ Microsoft Windows 8 suite (with genuine product codes) because my version (verifiable pre-installed for a laptop) got f'ed up. Go online to Samsung.com and chat with them. They may be in America, but they may still be able to help you. They have been great to me when At&t told me to f myself and that I was lying about my phone stating it was "water damaged". I took pictures and sent it to Samsung and they told me that the associate that told me that was full of it. It was a software issue caused by a security system on the phone itself. I tried to root it and the security activated because it got a false positive when the kingroot software hit the bootloader. It wasn't something any of the 3 parties could have controlled because there was something wrong with the phone itself. Att told me to f myself and buy a new one with what my good looks. I didn't have 199$ for the insurance. I talked to Samsung and they said that knew exactly what was going on and what I talking about. They said that the application malfunctioned. The root was supposed to fail and the phone reboot and go back to normal, no security craziness. That is when they sent me the packing supplies. All I am saying is it isn't all bad, you got to bite a couple crab apples before you get the good ones. That and be persistent, like annoyingly so, like you want it done and won't take no for an answer. Don't rely on your carrier they are worthless. If you ask an associate anything other than a basic question, they look at you like you suddenly grew a second head, or maybe they realized they aren't talking to "the average consumer". They do not like people who are well versed, intelligent, non craze driven people. They want lambs to the slaughter. Everyone to buy and do exactly the same thing. Anywho enough about me my government taking over the cell phone company paranoia theory. I promise I am not one of those paranoid delusional sorts, but when you've been reading the crap I have it isn't a far stretch. Just Google "when to shoot a cop", and before you freak out it isn't what you think; it is actually on a law enforcement website, and is not condoning it, but it is a very interesting article. Granted it's based on American law, but would be meaningful for all. And that it just an itty-bitty tip of the iceberg.